Wylie Recreation: Ranger Game Family Fun! Family fun, peanuts and Cracker Jacks! 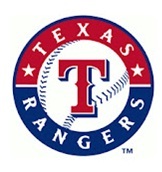 Travel to the Rangers Ballpark in Arlington to watch our 2010 and 2011 World Series competitors play against the Los Angeles Angels from Upper Reserved seats. Transportation provided. Register per person by 9/25/2013. Registered minors must be directly supervised by a registered adult. Bring money for snacks, meals, etc. Register in person at Wylie Recreation Center or Bart Peddicord Community Center -OR- register online, now!